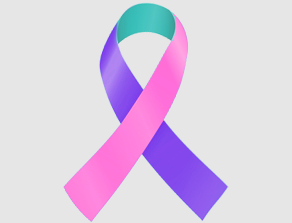 Thyroid cancer is the eighth most common cancer in the U.S. and makes up nearly 4% of all new cancer diagnoses. Fortunately, most thyroid cancers respond well to treatment, although a small percentage can be very aggressive and deadly. An estimated 56,870 new cases of thyroid cancer will be diagnosed in the U.S. in 2017, with more than 2,010 deaths expected to result from the diagnosis. The five-year survival rate for people with thyroid cancer is 98%. In the U.S., thyroid cancer incidence has more than tripled in the past three decades. Much of this rise appears to be the result of the improved imaging techniques that can detect disease that might not otherwise have been found in the past. Women are about three times as likely as men to develop thyroid cancer. Although thyroid cancer occurs in all age groups, more than two-thirds of new cases occur in people between the ages of 20 and 65. In addition to specific projects listed below, genomics research is helping us attack thyroid cancer – and all types of cancer. NFCR has distinguished itself from other organizations by emphasizing long-term, transformative research and working to move people toward cancer genomics. Dr. Paul Fisher’s laboratory focuses on understanding the molecular and biochemical basis of cancer development and progression, and utilizes this accrued knowledge to improve treatments for all types and stages of cancer, including the ultimate stage – metastasis. In 2004, the first VEGF-targeting anti-angiogenic drug Avastin® was approved by the FDA for the treatment of colorectal cancer, and, today, in addition to colorectal cancer, Avastin is approved for the treatment of non-small cell lung cancer, renal cell carcinoma, the aggressive brain cancer glioblastoma multiforme (GBM) and certain types of cervical and ovarian cancers. More than 280 clinical trials are currently investigating the use of Avastin in over 50 tumor types. Two other anti-angiogenic drugs that target the receptors that bind to VEGF are currently in a Phase I/II trial and a Phase III trial to treat thyroid cancer.